The second annual Day for Autism Picnic was held Sunday in Wellington. 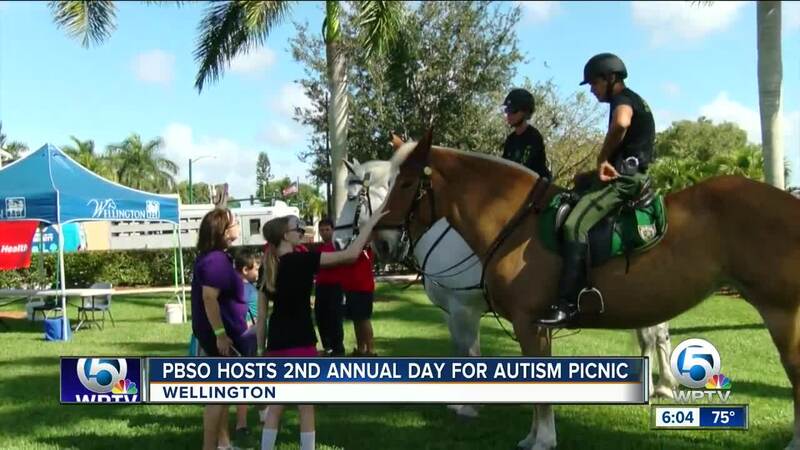 WELLINGTON, Fla. -- The second annual Day for Autism Picnic was held Sunday in Wellington. The Palm Beach County Sheriff's Office (PBSO) hosted the event at the Village Community Center. There were horses, a bounce house, a small petting zoo and other activities. The event aims to raise awareness for Autism and to bring families together. PBSO had one of their patrol cars at the event for people to paint with their handprints.